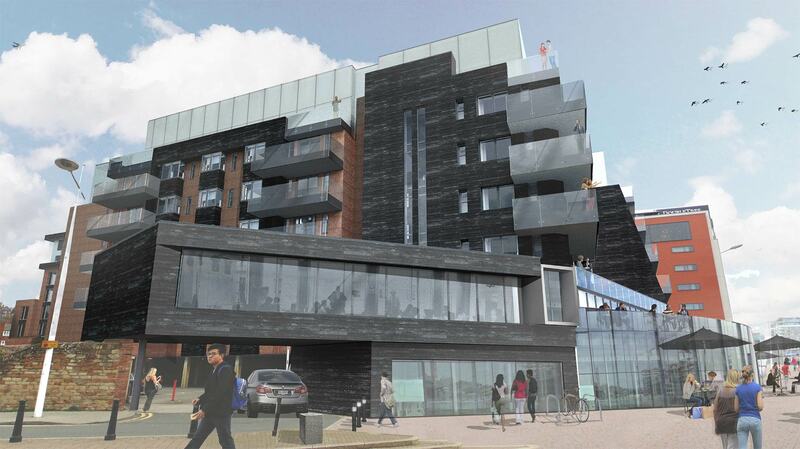 Lincoln developers have submitted an application to turn an office block into 40 apartments as part of the £20 million One the Brayford project. If given the green light by City of Lincoln Council, five storey Viking House, which formerly housed the Department for Work and Pensions for 39 years, will be transformed into luxury apartments. Despite the application being submitted, Dominik Jackson, Co-founder of Jackson & Jackson Developments, who are behind the One the Brayford project have said they still intend to use the building for office space. Work is already underway at the former Mouchel building on site. The overall development will comprise 69 apartments, three new restaurants and will create around 100 jobs. Each floor has 537 m sq which could be converted, resulting in between five and eight apartments on each floor. Lincoln-based Jackson & Jackson Developments Ltd, working in partnership with Richardsons Capital, are overseeing construction of the development.